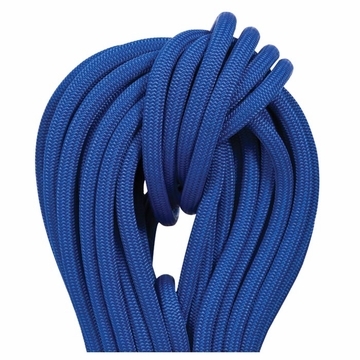 This new rope was specifically developed for indoor use in climbing gyms. The small diameter allows children to gain better handling and confidence knowing that this rope is perfectly adapted to them. Thick sheath allows greater resistance to abrasion. The UniCore process binds the sheath to the core of the rope preventing slippage. Spools ship with rope end markers for traceability. Three colors for rotation and station identification in your gym or camp. UniCore process eliminating sheath slippage. Thick sheath offering better resistance to abrasion. Thin diameter allowing better handling and knotability even by children.